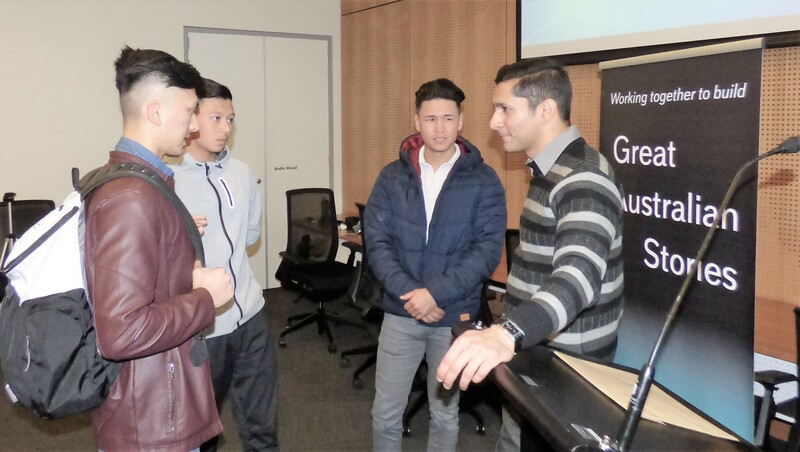 Earlier this month, best-selling finance author Chinmay Ananda took an afternoon out of his extremely busy schedule to present at Community Four’s Australian Hazara Careers Project in Dandenong, Victoria. Chinmay’s audience wasn’t filled with the everyday business executives he would usually engage on the topic of business finance. It was made up of young Hazara people who are just starting to build their lives in Australia. It is an understatement to say that Chinmay’s session had an important impact on these individuals. You see, I have learned through my years of working as a social entrepreneur, that truly successful people are not the ones who were already at the high end of the ladder and clambered a few more rungs to make it to the top. They are the ones who started below that very first rung and somehow made their way into the mix. Success for me is not so much about the place you end up – but about the distances you travelled. Chinmay offered these young Hazara people something they would rarely have access to. The kind of experience that would usually be spared for those who have the level of income to invest in taking that next big step in mastering business finance. It was a high quality, incredibly engaging session about a subject which is so fundamental to our ability to build a bright, liberated life. Beyond the transaction of sharing information, there was an important transformation that took place in that room. It was highlighted when, at the end of the event, a few young men keenly gathered around Chinmay to ask questions. There is this great photo I took of them soaking up every moment of his time. However, for me, it was just as good to see Chinmay so happily engaging with, and even learning from, these motivated young men. I realised they all, Chinmay included, understood the true value of this experience of shared humanity, of people uniting as equals around a common purpose. As my co-founder, Baqir Khan, and I travel further along this path with Community Four, the more we realise that the world needs more people like Chinmay Ananda, business people who understand that “creating value in our society” goes far beyond those activities that simply enable us to extract financial value from society. People who understand that “community” is not something outside ourselves, but something to which we are all inextricably connected. That the value we create for others is in fact the value we create for ourselves, a value which goes far beyond the numbers we see on our balance sheets or social profiles. 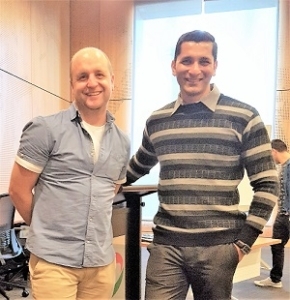 Listen to the podcast of Chinmay’s amazing session on Podbean here. Or iTunes here.